ryck: Now ya got fire and smoke. Hope you're out of harm's way. Ya, lots of fires starting in our province (115 in the last couple of days). The large fire (430 hectares and growing) is a long way off and the opposite side of Okanagan Lake. The closest fire so far was east of us…and is is now contained. However, I did have a bit of a start a few weeks ago when I looked toward the east and saw some light reflected from the sky along the ridge of the mountains. The light started to intensify closer to the ridge and I thought, "Holy crap, the fire's moving over the mountain and coming this way." As it got even brighter, the light started taking shape - a round shape. Yup, it was the moon rising. All that adrenalin for nothing. What really gets to me is the number of fires found to have been started by humans, in large part either disregarding camp fire bans or throwing lit cigarettes out of car windows. It's just not possible to fathom that level of stupidity. What really gets to me is the number of fires found to have been started by humans .... It's just not possible to fathom that level of stupidity. Sure it is. That's way it's difficult for me to fathom why $100M is being spent on looking for intelligent life elsewhere in the universe when it's so very much lacking on Earth. Any intelligent life out there is saying: "Nobody make a wave." yes, people really are that irresponsible. Any intelligent life out there is saying: "Nobody make a wave." I recall someone on television (Neil deGrasse Tyson?) commenting that perhaps there is intelligent life out there, but it doesn't want to contact us because we have nothing to offer. We would point to Stephen Hawking, and all the amazing things his mind has accomplished, as an example of intelligence on earth. Meanwhile, the being from 'out there' might think: "Jeez, that's what our four year old does. We're moving on." Two aliens are observing humans from their spaceship. One says to the other, "They have developed nuclear weapons." The second says, "Oh, they must be intelligent." The first replies, "Not at all. They've aimed them at themselves." I recall someone on television (Neil deGrasse Tyson?) commenting that perhaps there is intelligent life out there, but it doesn't want to contact us because we have nothing to offer. We would point to Stephen Hawking, and all the amazing things his mind has accomplished, as an example of intelligence on earth. Meanwhile, the being from 'out there' might think: "Jeez, that's what our four year old does. We're moving on." Even if there were thousands of Stephen Hawkings legitimizing intelligence on Earth, the 7+ billion other inhabitants who can't figure out how to decrease their numbers — overpopulation's being the underlying reason for conflict of every nature (eg, war, famine, climate change) — present a strong argument for the Gaia principle which will ultimately govern the fate of the planet, intelligence or no intelligence. Humans have f**ked up the place since they came out of the tress, trespassed on the plains and contaminated every continent. So, quite right: Movin' on. I think the problem here is too many people are thinking on very short timeframes. Look at how much our society has changed just in the last 200 years. It's not like everything is operating on the same time table as we are. Any civilization out there is going to be on some random point on the continuum of evolution. The odds of them being in the same ballpark as us is incredibly slim. Catherine Sakai: Ambassador! While I was out there, I saw something. What was it? G'Kar: [points to a flower with a bug crawling on it] What is this? Catherine Sakai: So much gets shipped up from Earth on commercial transports it's hard to keep them out. G'Kar: Yeah, I have just picked it up on the tip of my glove. If I put it down again, and it asks another ant, "what was that?" [laughs] How would it explain? There are things in the universe billions of years older than either of our races. They're vast, timeless, and if they're aware of us at all, it is as little more than ants, and we have as much chance of communicating with them as an ant has with us. We know, we've tried, and we've learned that we can either stay out from underfoot or be stepped on. Catherine Sakai: That's it? That's all you know? 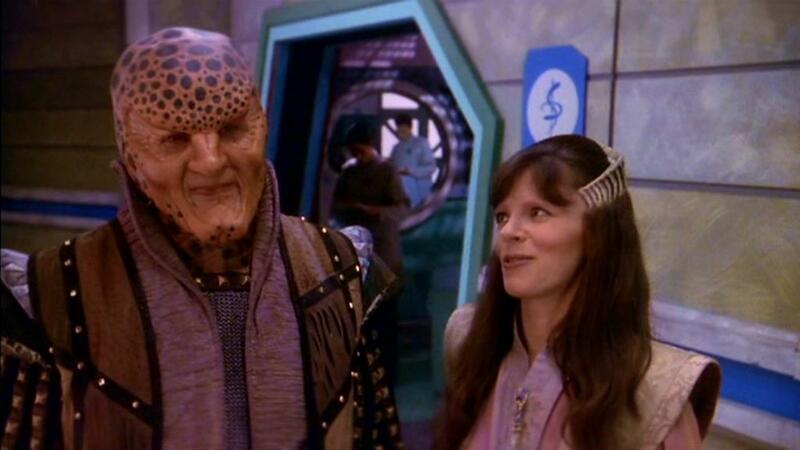 G'Kar: Yes, they are a mystery. And I am both terrified and reassured to know that there are still wonders in the universe, that we have not yet explained everything. Whatever they are, Miss Sakai, they walk near Sigma 957, and they must walk there alone. That's pretty fundamental wisdom in this area. Don't think "our four year old", think ant. Anything more is really extreme arrogance. To think that we must be clever enough to understand them is just as arrogant. Go to youtube and search for "the great filter". You won't find anything on it on Wikipedia, which I find very odd. But there's plenty of discussions on youtube. It's an attempt to answer the Fermi Paradox. And then you get the politicians (both PM and premier) flying in for photo ops and no promises of federal funding for fire-fighting costs. How many more ways can money be wasted in the effort? And now the Big Kahuna is headed my way to ally himself with our premier to abolish the Senate. Wanna bet that there's no federal money for our forest fires which wasted over a million hectares (ca 4000 sq.miles) and caused evacuation of thousands from the north country? And then you get the politicians (both PM and premier) flying in for photo ops and no promises of federal funding for fire-fighting costs. That's because they're both brainless ideologues but, hopefully, at least one will be gone in October. Give the increasing effects of global warming, a lot of jurisdictions throughout North America will need to to tackle the whole issue of funding to fighting forest fires. It's going to cost a lot of money for a long time. Warren Bell has a pretty good take on it with this column. Not to worry. It's a good thing. Gaia will take care of it. (We'll long be dust — and not due to forest fires — before that happens. Generated in 1.701 seconds in which 1.282 seconds were spent on a total of 14 queries. Zlib compression enabled.